Thoughts on why step-mothers are often portrayed as being ‘wicked’ in folk and fairy tales. 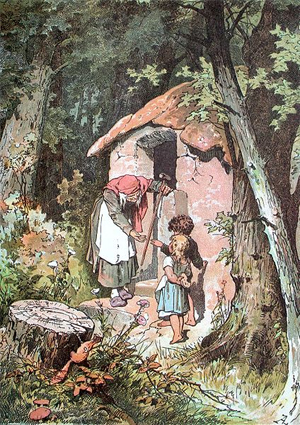 Why are the ‘bad’ female characters in fairy/folk tales often described as step-mothers? Why aren’t they real mothers? Or just a strange old lady met on the road? Well they are sometimes. There are quite a few wicked mothers in both songs and stories. For many years I have known, and occasionally sung, the ballad of The Cruel Mother. She gave birth to two lovely little boys and immediately took ‘a pen knife long and sharp’, and ‘pressed it through their tender hearts’. No reason is given but we can surmise that either she shouldn’t have been pregnant in the first place so was attempting to destroy the evidence or she was suffering from extreme post-natal depression. Do either of those make her ‘cruel’ or wicked’ or is she just desperate and a victim of circumstance? 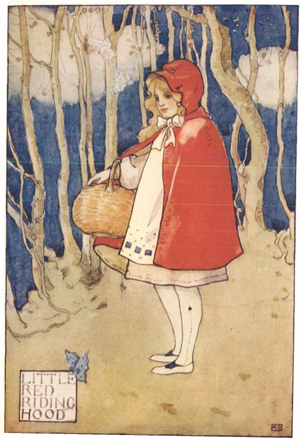 There are also stories of old women— ‘witches’ - hunting for little boys to carry off, perhaps to fatten up for food. 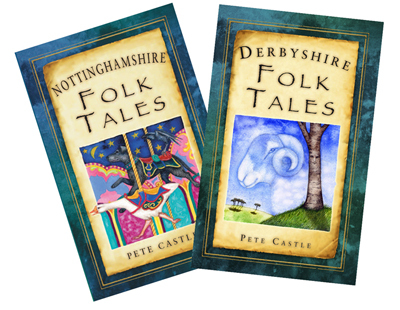 Jack & the Buttermilk in my Nottinghamshire Folk Tales book falls into this category as does the more famous witch in the Grimm’s Hansel and Gretel. 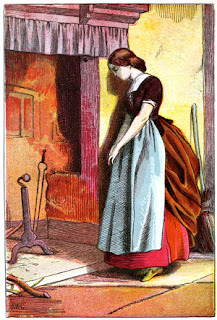 But it is the term step-mother which has become the standard in children’s fairy tales, films and pantomimes to describe a dangerous older woman. In my own family history research I’ve found several situations like this—a man has two or three children, his wife dies, he immediately remarries and then has several more children with the new wife. If life is hard and hand to mouth this is a situation which could easily give rise to jealousies and favouritism, either real or imagined. Most children have rages when they shout “I hate you!” at their parents. They must feel that anger even more if it is not their ‘real’ parent. Another point of conflict could be the age of the new wife—sometimes not much older than the oldest children… She might be very tempted to make life difficult for her step-daughters just as a way of exerting her authority. Insecurity. So the ‘wickedness’ might be perception, or jealousy, or just grief, but there obviously must have been (and still are) cases where a step parent does favour their own children above the step children. This is very often the case in novels—Dickens, Bronte, George Elliot etc—where they are treated like servants or worse… which brings us back to fairy tales and Cinderella and so on. I guess that this situation was eased with advances in knowledge and medicine in the early 20th century and even more so with the coming of the National Health Service in 1947 which meant that all expectant mothers could have good care. Infant mortality and that of new mothers dropped drastically. As divorce was difficult and socially unacceptable step-mothers were much rarer through the mid 20th century. Now, though, they are once again becoming the norm as many couples divorce and remarry, perhaps several times! A century or two ago family life was altogether more complicated—the nuclear family, as it was when we were growing up, was far more fragile and peoples’ status was less stable. A puzzle I had in my family history was a relation three or four generations ago who was a successful farmer employing several workers. His land and family grew from census to census but then he disappeared. He had an unusual name so there was not likely to be more than one person of that name in a neighbourhood but the only one I could find was a single man employed as a farm labourer on a nearby property. It could only be him but how had his circumstances changed so much in so short a time and where were his wife and children? Through reading Hardy (Tess, I think) I came across a form of inheritance where the lease on the land can be dependent on the wife. It is hers and her husband’s during her lifetime, but if she dies he loses any right to it. He loses his wife and his land in one go! In the case of my ancestor the children were old enough to leave home but if they had been younger and he had had to remarry what strains would that kind of situation have put on the new mother—the step-mother! Even more, how would the existing children have reacted? You can imagine them blaming their new stepmother for their change of circumstances. They could easily see her as being ‘wicked’.